We created a cover spread for Ottawa Life`s Women of the North issue and this was my take on the Eldest and the Youngest of these women. Two artists, one who I had the pleasure of first meeting years ago in Cape Dorset on a Time Magazine shoot, the second an up and coming chanteuse. Elisapie Isaak was quite the trooper…singing at the Nac that evg with the flu. 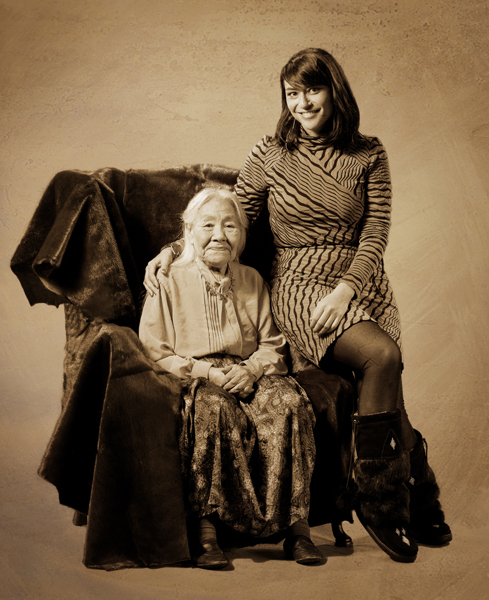 Kenoujuak was photographed for the cover holding a screen print I had purchased from her on a trip to Cape Dorset.